I don’t get out early that much but when I saw the fog one morning I decided to push myself out to see what I could find. What is great about foggy conditions is that the backgrounds all but disappear so that it does not distract from the foreground subject. 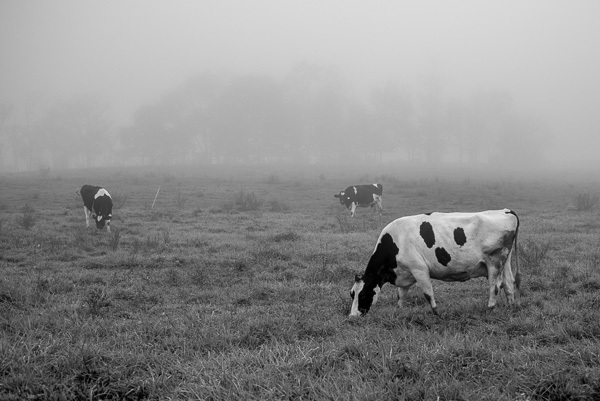 These critters seemed to be just as happy munching on the grass in the fog as any other time. ~ by Admin2 on May 17, 2013.